In March of 2016 Art & Soul Gallery held a “Spirit Of Spring” show of paintings by the galleries artists. I created my painting, “Springtime Delight” for that show. Then I never showed it again, even though I was happy with the painting. 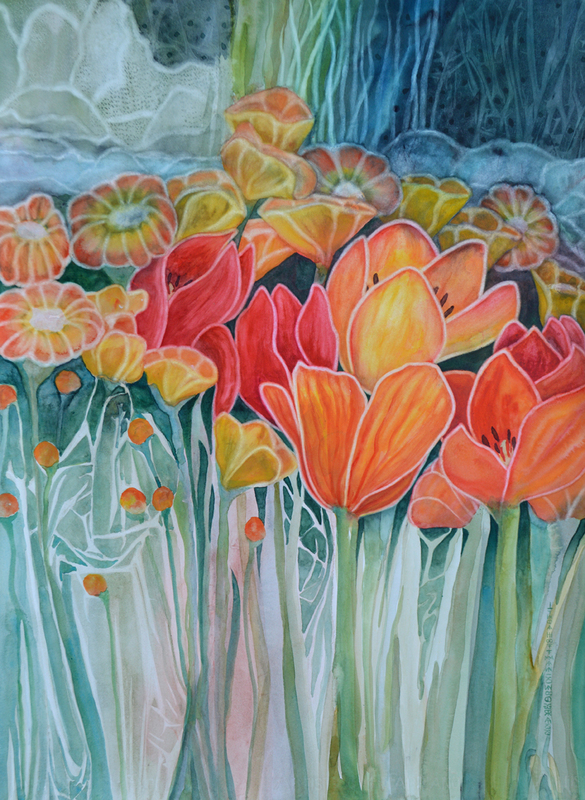 Since it is a tulip themed painting I pulled it out to see if I could show as part of my tulip series. After looking at it with fresh eyes, as it has been put away for some time, I saw some changes that I felt needed to made. The before of “Springtime Delight” is on left and the finished painting is on the right, very happy with the results!